Replace Nitrogen, faucets, and accessories used in WineKeeper products. 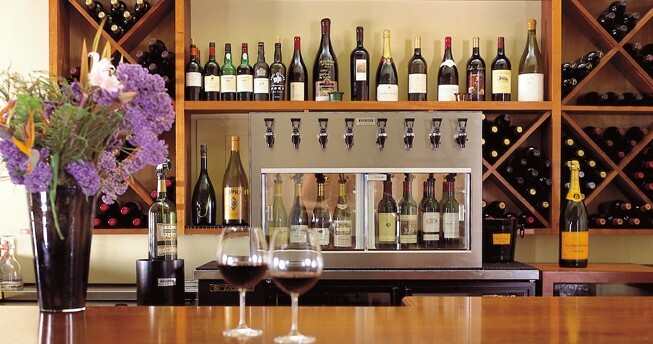 Our most affordable system preserves wine for weeks and is available for large format bottles. Preserve and dispense two red and two cooled white bottles of wine from this stylish unit. Visit our Family of Stores for the best in wine products! 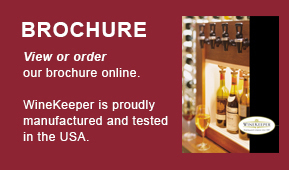 WineKeeper provides industry standard wine dispensing and preservation systems for use by commercial venues and home wine enthusiasts alike. Our family of stores features the finest wine storage products, such as wine cabinets, wine coolers, wine cellar refrigeration, wine furniture, stemware and decanters, wine gifts, and wine accessories. Our extensive vendor relationships are leveraged to provide our customers with the best experience, offering the convenience of online shopping through International Wine Accessories and Epic Products. Our aggressive pricing, quality selections, and outstanding customer service online and through our catalog are easy and effective ways to buy wine products. As manufacturers for leading brands in the wine storage industry, including Le Cache Wine Cabinets and CellarPro Cooling Systems, we value quality and know what you need in wine products.